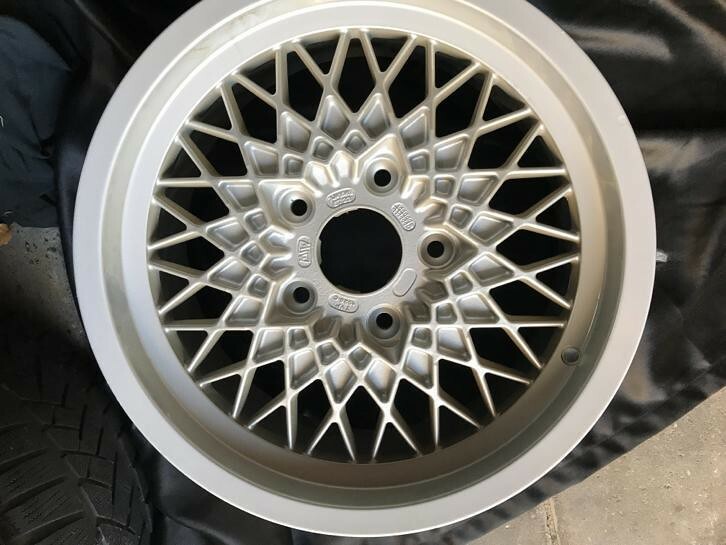 924Board.org :: View topic - Will these wheels fit my 924 Turbo? 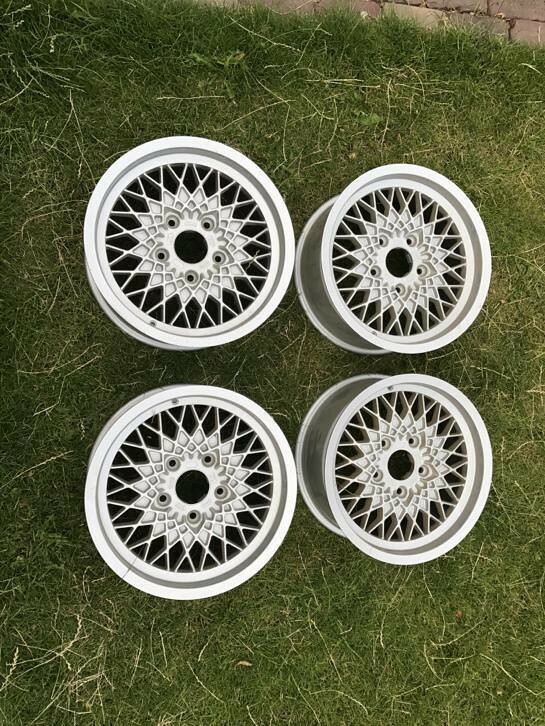 Posted: Sat Aug 05, 2017 3:42 am Post subject: Will these wheels fit my 924 Turbo? I have come to the conculsion that the OEM 15" Turbo wheels are not doing the road holding of my 931 any favours. The tyre wall are too soft and too high. This makes the car too soft in corners for my liking. 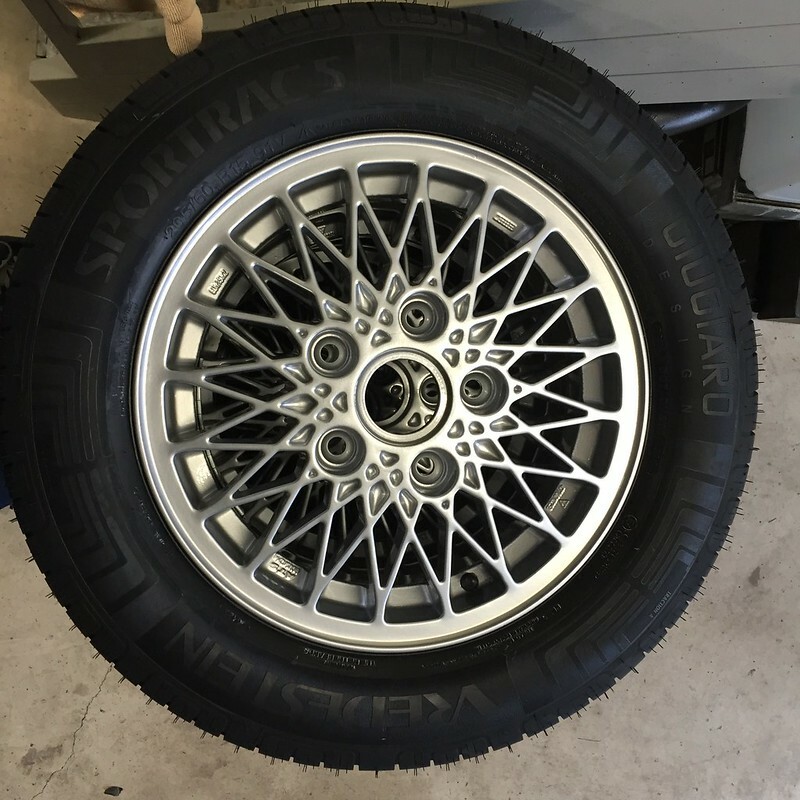 I can buy a set of period correct 16" MSW wheels for my car for a great price. Going to 16" reduces the height of my side walls and allows me to buy wider N rate tyres. All of this should vastly improve the handling of my car through the twisties. However, I am unsure if they will fit. I hope you can help. I think they will fit, but I am unsure of the offset. 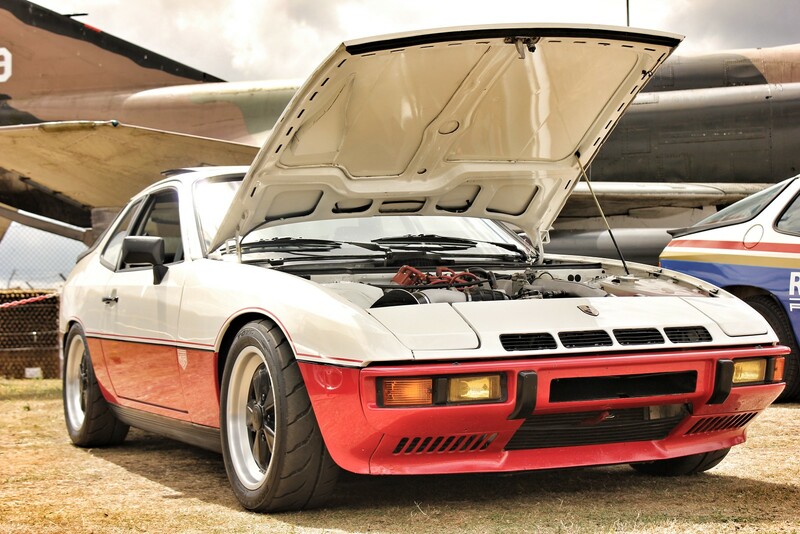 7Jx16ET23 is the offset for a standard 944, which means these will stick out an inch further than the narrow body arch. You can solve this in the rear by eliminating the standard 22mm spacer, but you will have trouble up front. I've seen some posts where guys have gotten ET23 wheels to work up front by dialing in a lot of negative camber, but you will then wear through tires a lot faster. Awesome, thanks for the advice Dan! I had a feeling that there was going to be an issue on the front. I don't want to run a lot of negative camber, so I guess I will just have to keep on searching. 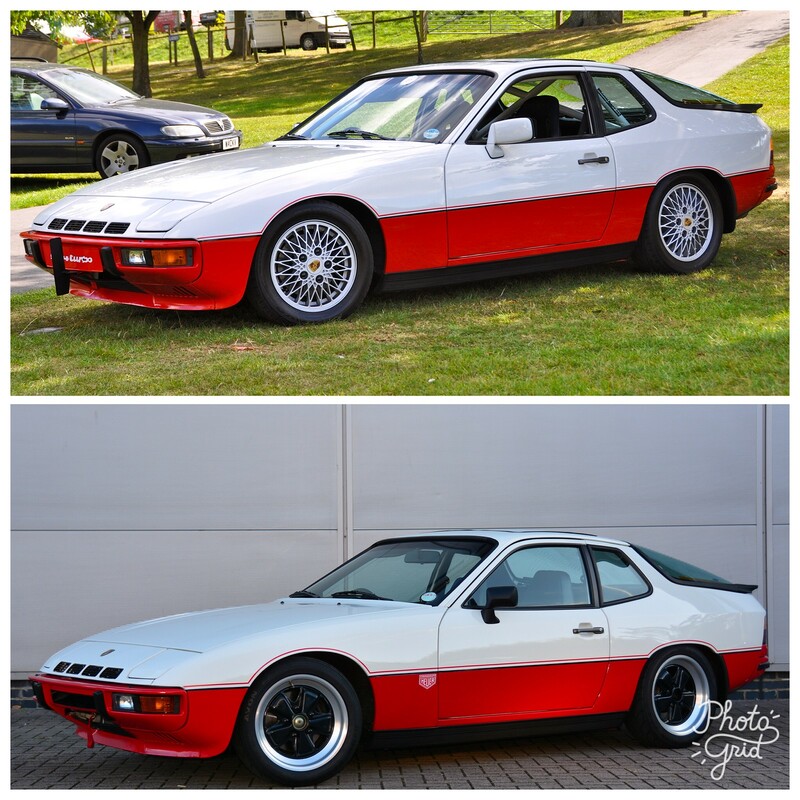 When I bought my 931 it actually had 944 S2 D90's on, but I did not like the look very much. Several of us run et23 7'', but as said above it need camber to fit perfectly. What tyres do you use, you could also buy some much sportier tyre with much stiffer sidewall to get similar effect. I am currently running Vredestein Sportrac 5 in 205/60 R15 with a V rating. It was the only sporty tyre I could find in 15" at the time. I know I can buy the Pirelli p6000 but a €180 per tyre I find them quite pricey. Added to that my experience with Pirelli has never been good. This is odd because I attempted putting 7Jx15ET23 cookie cutters on my erstwhile 81 NA and they stuck out past the fenders by an inch. T1r have very sloppy sidewalls, i have them on my d90s at the moment. Maybe you could try ad08 Yokohamas, kuhmo ecsta mx ku36 or similar if you want a much more focused tyre bit. A bit more negative camber could be added as well, gives much better front end grip, depending on tyre.